Critical Care Units are specialist hospital wards that provide intensive care treatment and monitoring for people in a critically ill or unstable condition. Critical Care Units are specialist hospital wards that provide intensive care treatment and monitoring for people in a critically ill or unstable condition. They are often also known as intensive care units. 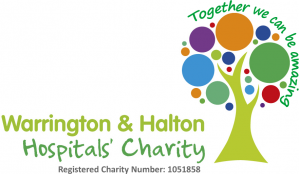 Our critical care services are provided at Warrington Hospital in a brand new state-of-the-art unit that provides up to 20 beds for this kind of care and support. A person in a critical care unit needs constant medical attention and support to keep their body functioning. They may be unable to breathe on their own and have multiple organ failure. Medical equipment will take the place of these functions while the person recovers. There are several circumstances where a person may be admitted to the unit. These include after surgery, or following an accident or severe illness. Our critical care beds can be used flexibly between the two types of intensive care - high dependency care and critical care. Intensive care is needed when a patient has acute breathing failure, or failure of two or more vital organs. These conditions commonly follow major accidents or trauma, complex major surgery or the most serious life-threatening infections and diseases of any kind. The unit has all of the latest equipment to provide the very best in monitoring and support for patients and has also been designed to help prevent the risk of infection as well. It is specifically designed and equipped to help protect seriously ill patients from healthcare associated infections which they can be more vulnerable to. We have two isolation cubicles with a special negative/positive air pressure system that prevents germs from getting in or out. All of the monitoring equipment and medical gases in the unit are also suspended from ceiling mounted ‘pendants’ above the beds which makes it much easier to clean the unit as the floor area is uncluttered. The light and airy unit also houses a family and waiting room, counselling rooms and staff areas. Our unit is staffed by an expert team of doctors specifically trained in critical care medicine (known as consultant anaesthetist or intensivists) and specially trained nursing staff. They are supported by a wide range of other health professionals to ensure that patients needing this kind of care get the very best treatment. Critical care can be a daunting environment for both the patient and their family and friends. Our staff understand this and are there to help the person being cared for and offer support to their family. 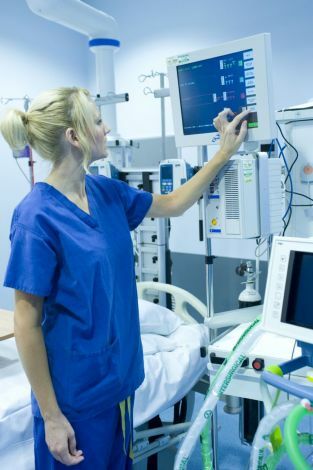 The NHS Choices website provides some excellent information on what to expect when visiting intensive care and the equipment that is used in intensive care departments.